Whether you're looking for a striking logo or unique branding materials, printed brochures or digital content that makes a statement, I can provide clean, innovative and powerful designs that convey your message and visually moves you audience. Below are just some of my creations for past clients. Created from components taken from thirteen different vintage posters, plus additional custom art. The cover art for the 1995 Accessory Mart and DomiRacer catalog, with custom art and a montage of classic motorcycle logos used as background. Finished size: 8" x 11"
Created to resemble a typical advertisement from the early 1960s, this image was hand colored from a black and white scan, with additional custom artwork added. Created to resemble a typical sales poster from 1962, with all custom artwork. 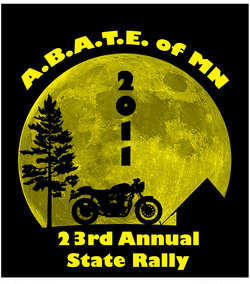 Artwork used for the promotional posters, printed clothing and program for the 2011 State Rally for American Bikers for Awareness, Training and Education of Minnesota. Hand colored and digitally altered to work as a replica poster for Norton Motorcycles.